I don’t know about you, but I tend to enjoy my food more when I know that it’s been made from scratch. Sure, I love my share of Stovetop dressing. But if I take the time to prepare it myself, a little piece of me doesn’t die when I think about the MSG and corn syrup I’m consuming. 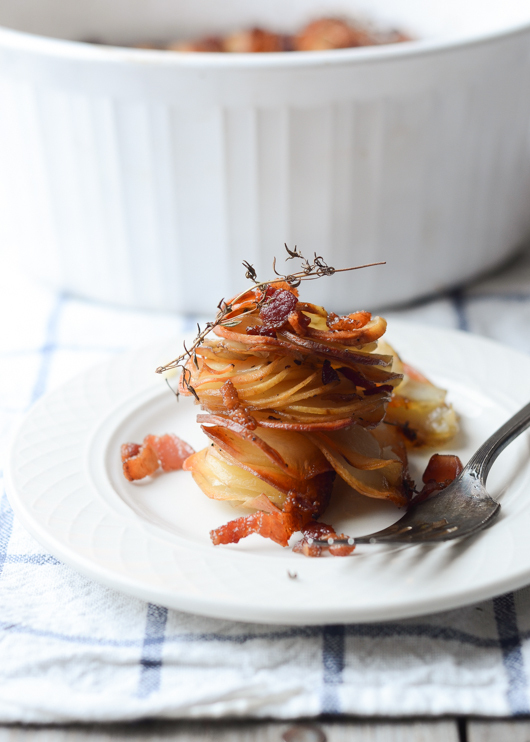 It DOES takes extra time and effort to cook your feast without the aide of modern convenience foods. But with a little planning and prep it’s totally doable. Especially if you delegate some of the dishes to other family members. 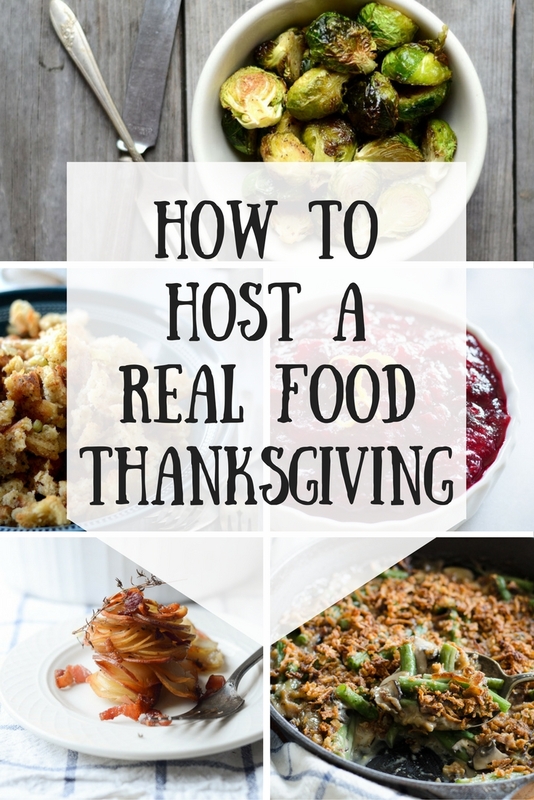 Here are some recipes and a timeline to help you host a real-food Thanksgiving! NOTE: According to the USDA, you can thaw a turkey in the refrigerator or in cold water. 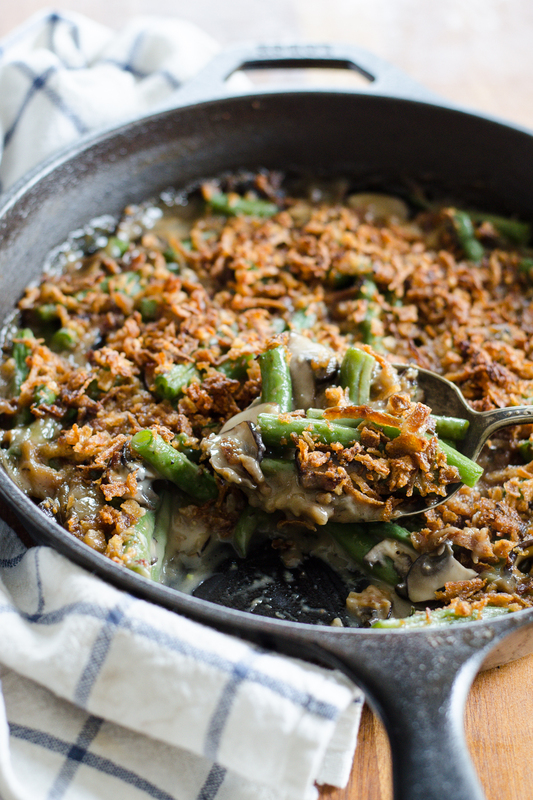 Green Bean Casserole From Scratch. 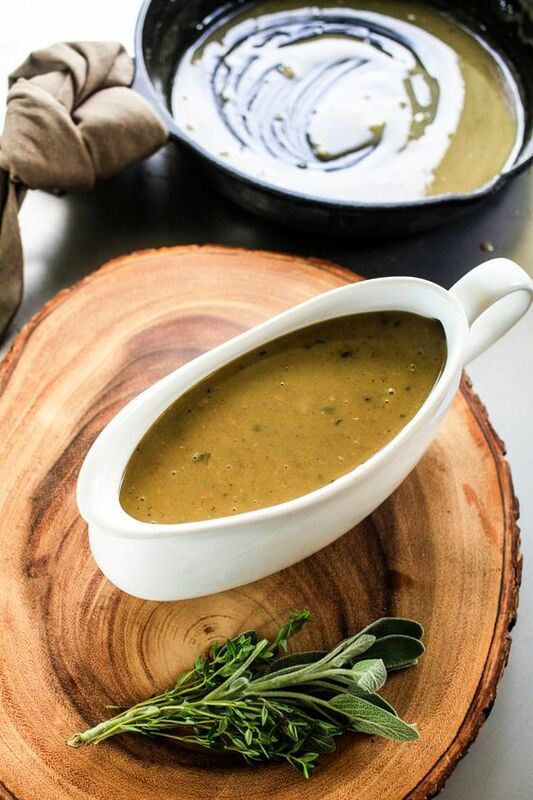 If any of your casserole recipes call for cream of mushroom soup, you can Make Your Own! Homemade Stuffing/Dressing from Scratch. This is so good. Add some wild rice for a Minnesota flair. 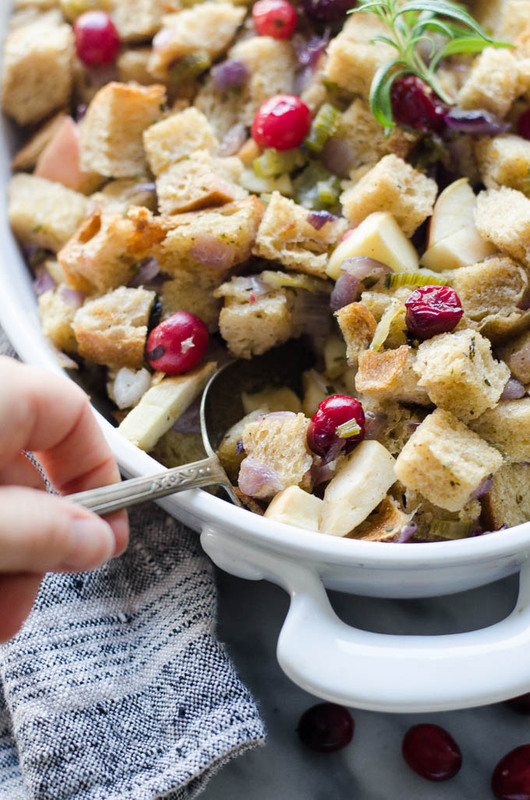 Or, if you’d like to be a little more fancy, you can make my Cranberry and Sourdough Stuffing. 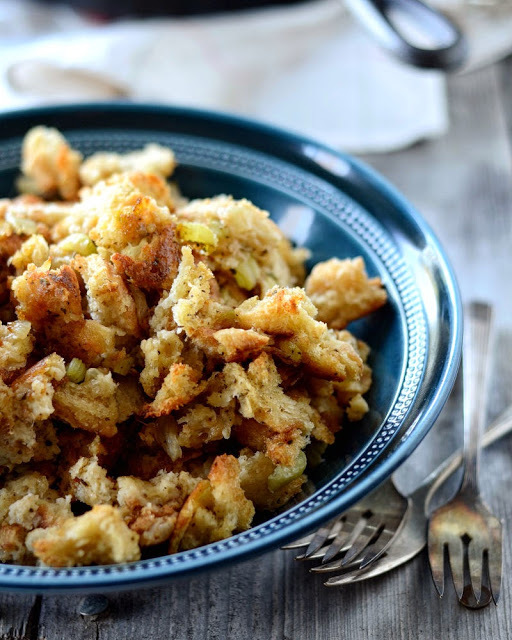 This is perfect for if you’re asked to bring the stuffing to a Thanksgiving gathering. 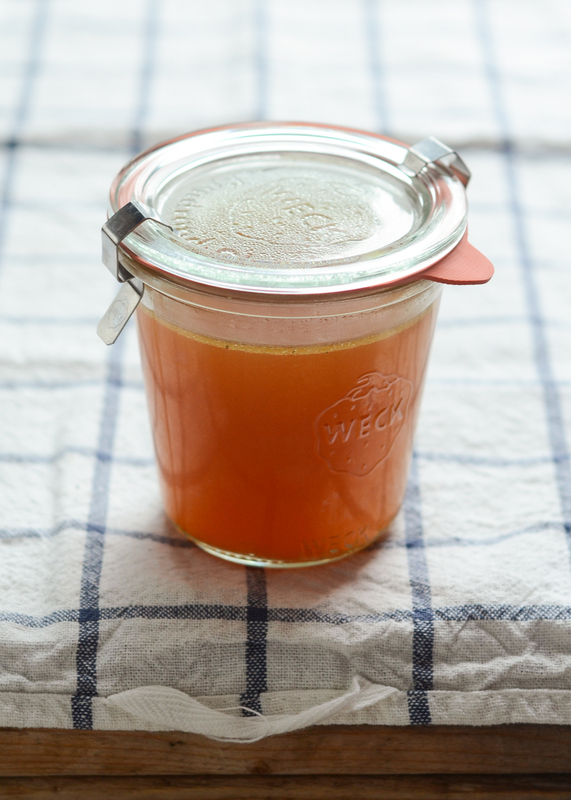 If any of your recipes call for chicken broth, you can easily make your own in a slow-cooker! You can also use the exact same method to make turkey broth with the leftover turkey carcas. Slow Cooker Sweet Potato Casserole from Kristine’s Kitchen. Make sure to use Soaked Pecans on top! Einkorn Yeast Rolls from Everyday Dishes (I would use unrefined sugar). Also, THESE are my favorite black olives for the price, and THESE are my favorite dill pickles. 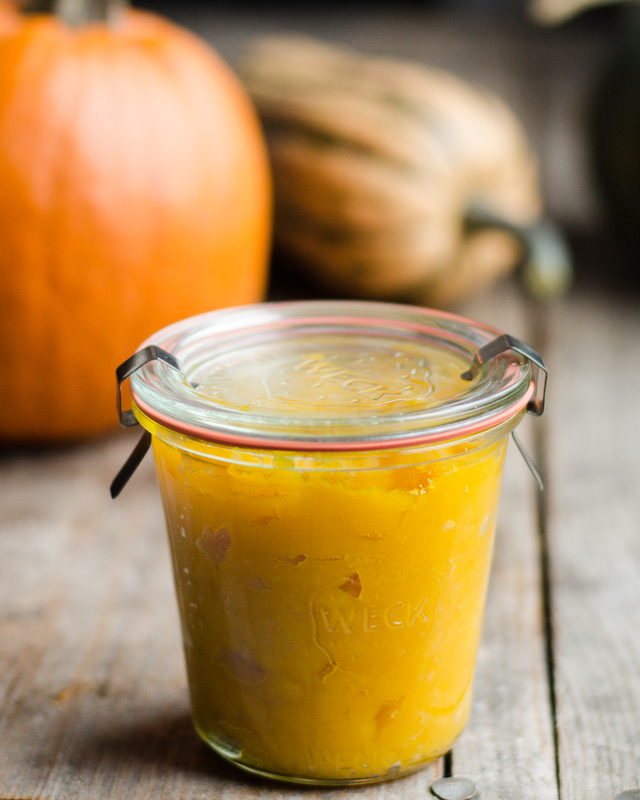 For the yummiest pumpkin pie ever, Make Your Own Pumpkin Puree! 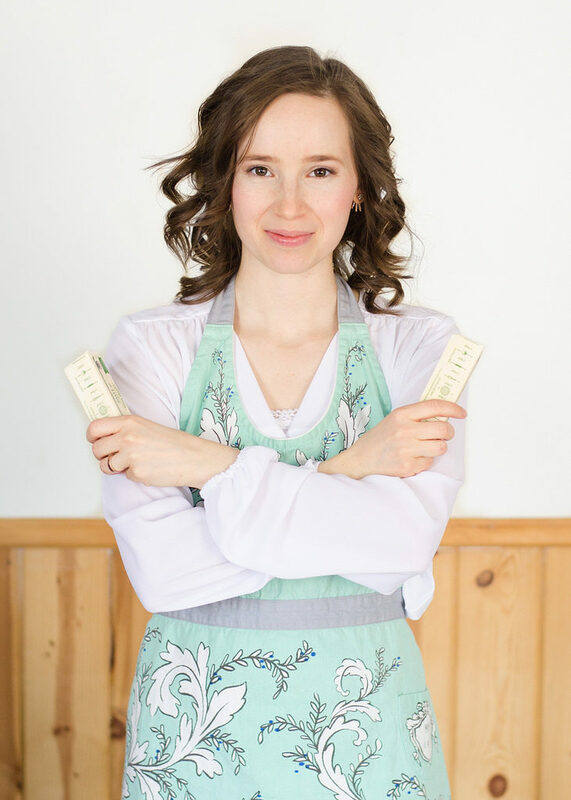 You can also make the Sweetened Condensed Milk from scratch! 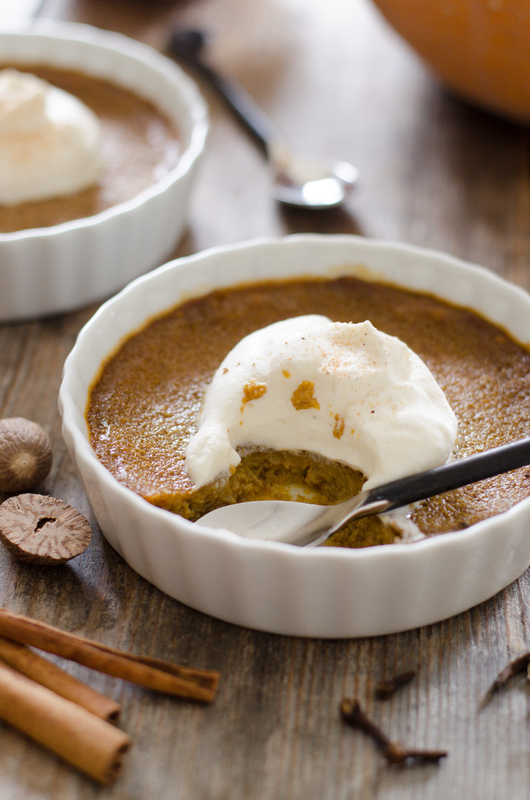 If you prefer not for fuss with pie crusts, you can make this Baked Pumpkin Custard or Pumpkin Pie Pudding instead. 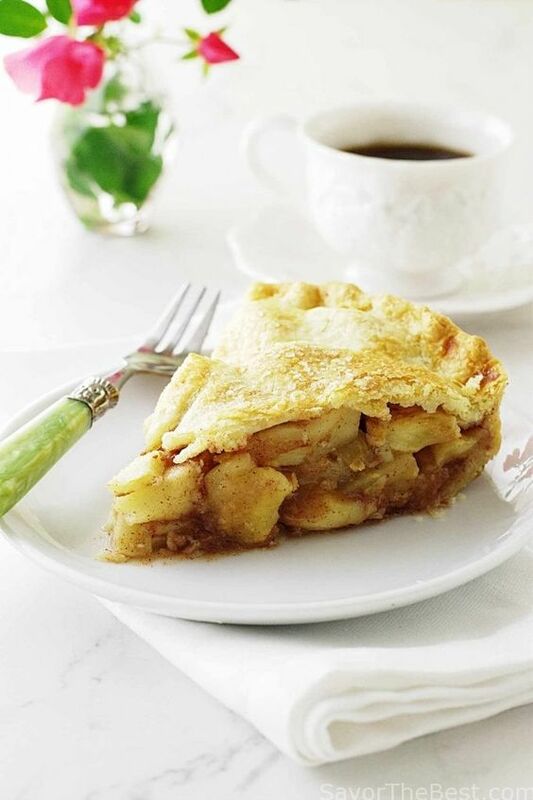 Apple Pie with Einkorn Crust from Savor the Best. 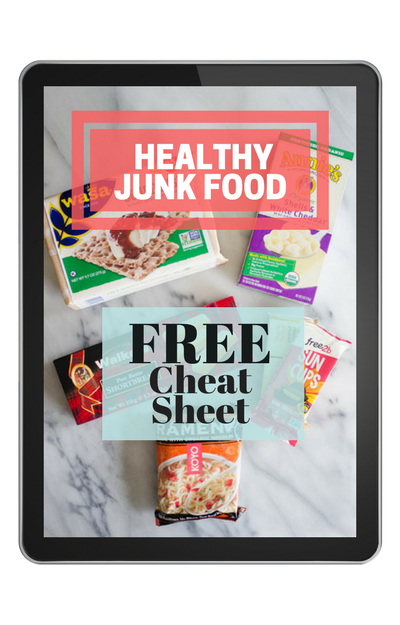 Again, I would use unrefined sugar. 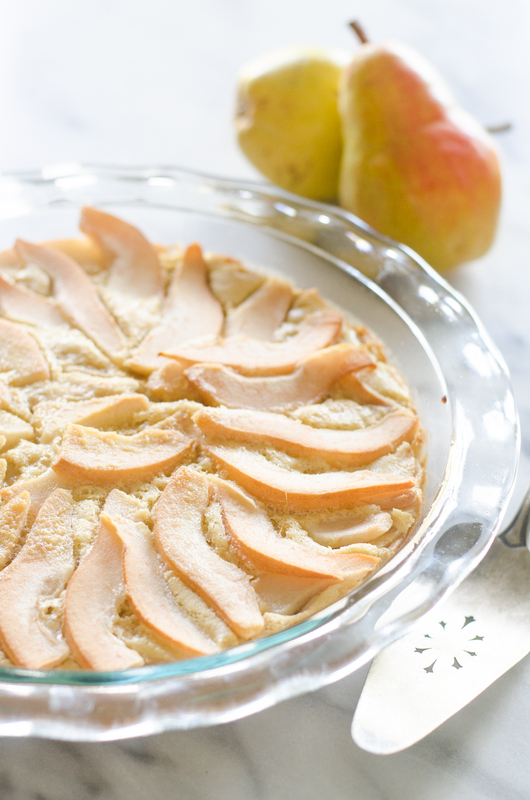 This Einkorn Pear Custard Pie is another pie-crust-free option. 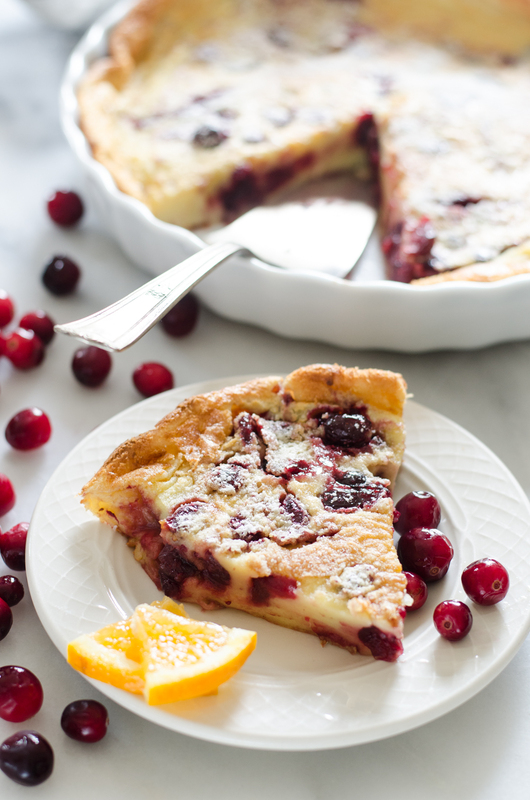 Or this Cranberry Clafoutis. 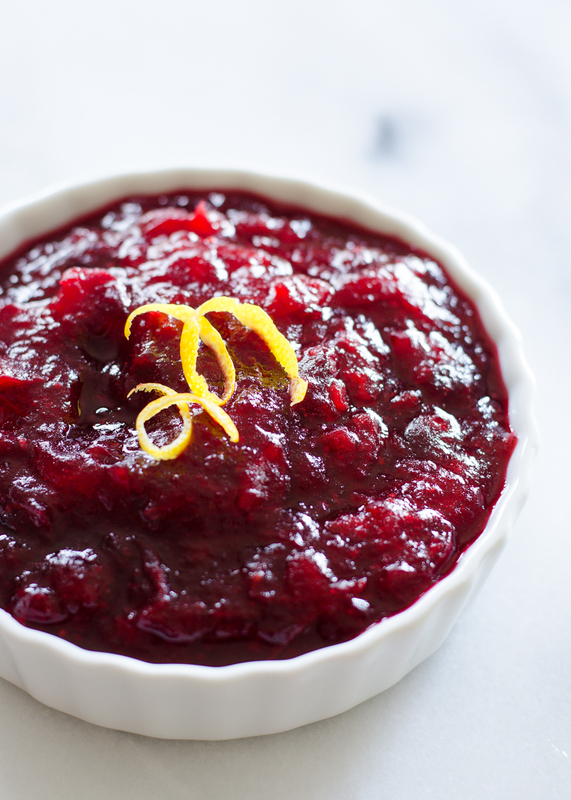 Great for using up leftover cranberry sauce! Make any chicken broth you may need. Make the bread cubes for the dressing. 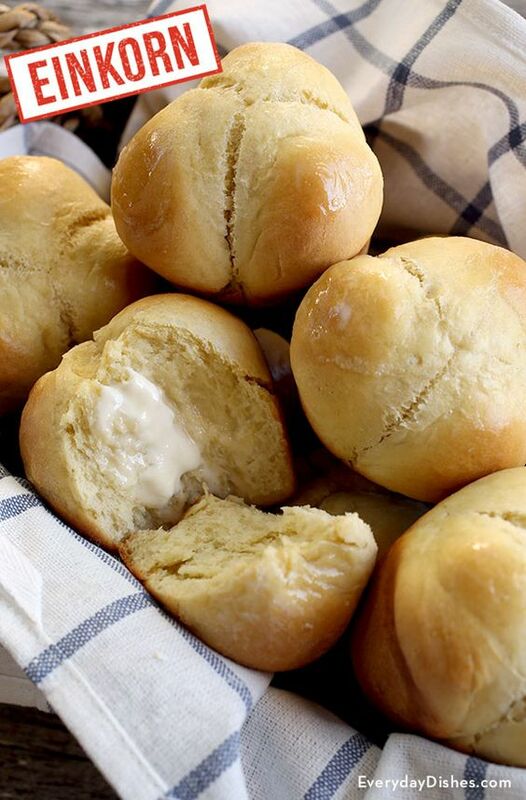 Make yeast rolls and freeze. OR make the dough up and freeze if you want fresh rolls on the big day. 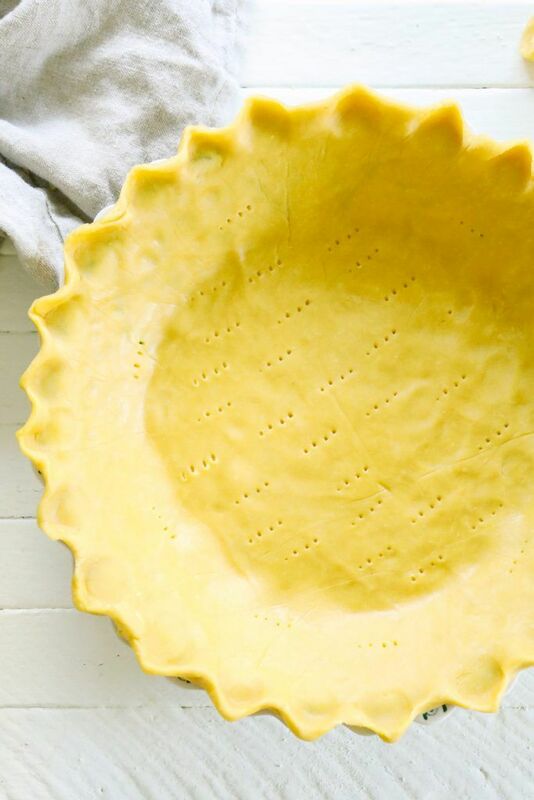 Make pie crust and freeze. Take turkey out of the freezer. The rule of thumb is that is takes 24 hours to defrost in the fridge for every 4 pounds of turkey. So a 12 pound bird would take 3 days to thaw. Read more on The Kitchn HERE. 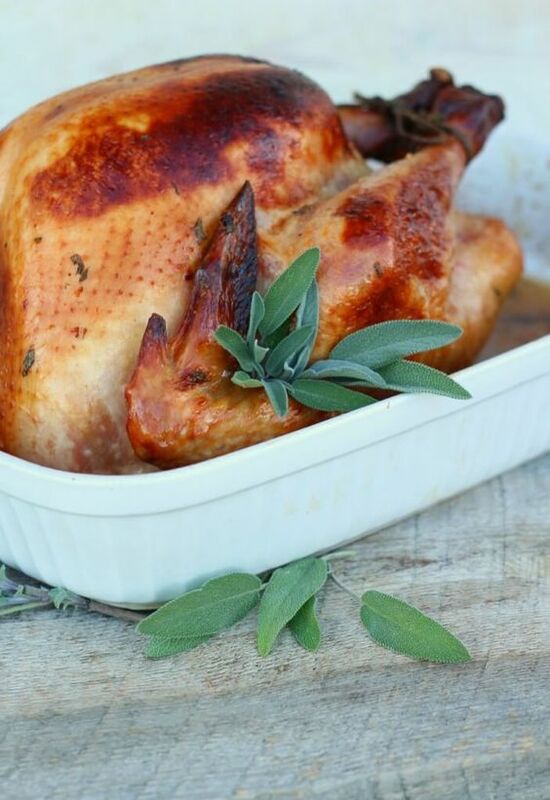 Allow one extra day if you plan on brining your turkey. 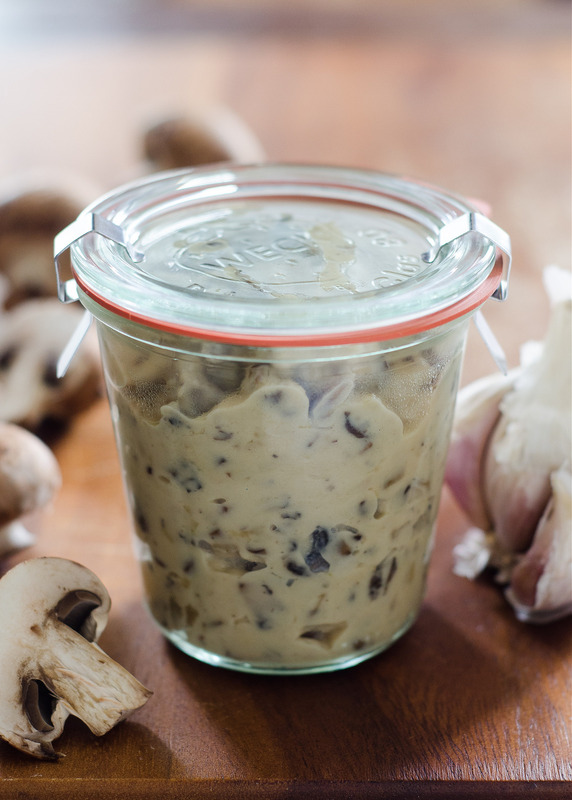 Make any cream of mushroom soup you might need for side dishes. 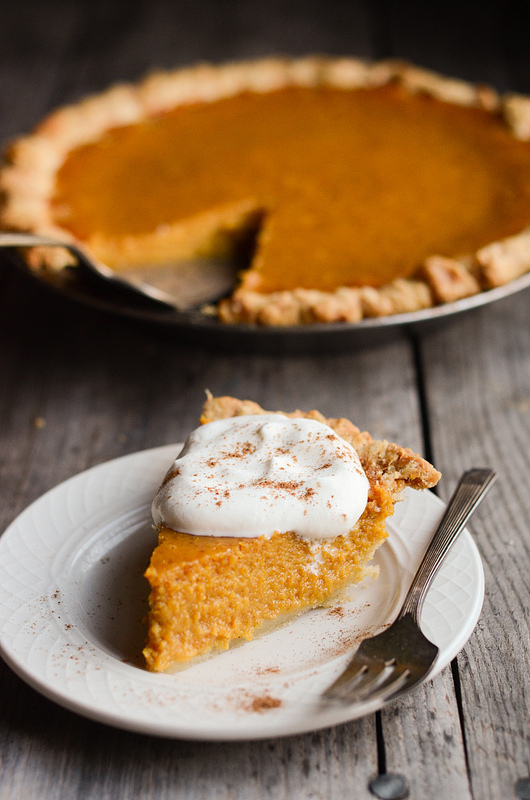 Make sweetened condensed milk for pumpkin pie. Chop up the veggies for any side dishes. Place thawed turkey in brine if using. 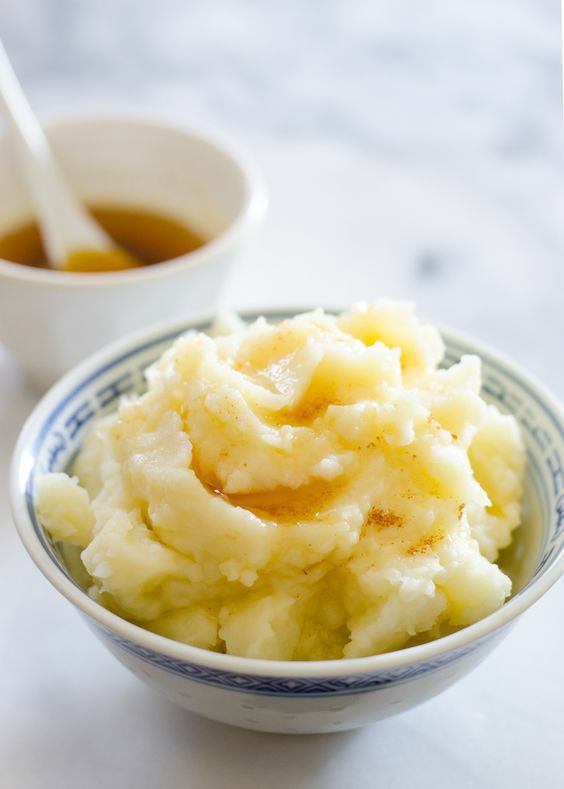 Peel and chop potatoes for mashed potatoes and place in a pot covered in water in the fridge. Remove yeast rolls from freezer (or defrost dough in fridge in the evening). 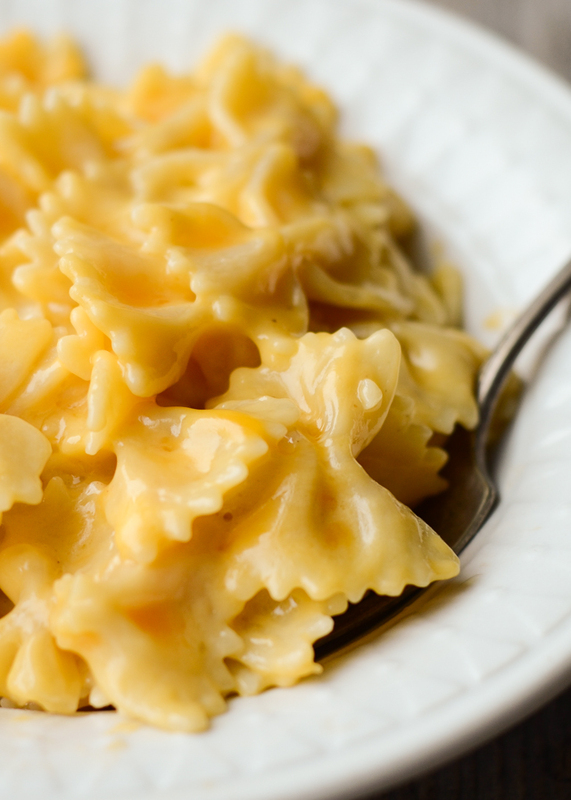 Make the Mac & Cheese. Place any condiments in serving dishes, cover and refrigerate. 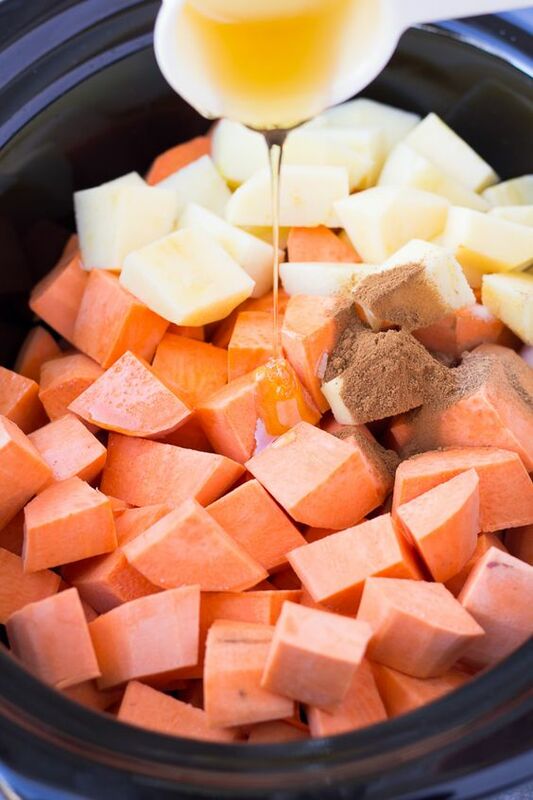 (3 1/2 hours before) Make sweet potato casserole in slow cooker. (2 1/2-5 hours before, depending on size of bird) Roast turkey. (1 1/2 hours before) Form bread dough into buns (if you didn’t pre-bake the yeast rolls). (1 hour before) Take butter out of fridge to soften for rolls. (50 minutes before) Assemble dressing and bake. (45 minutes before) Start cooking mashed potatoes. 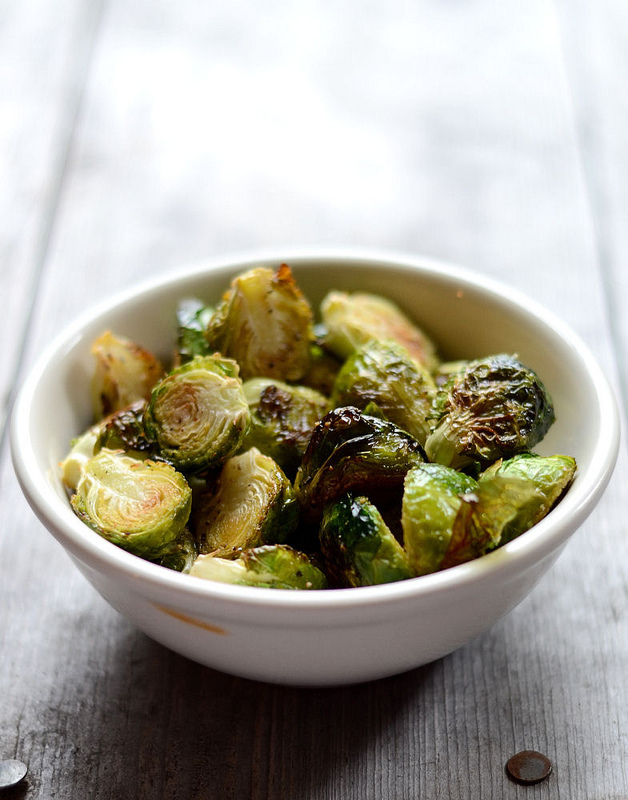 (35 minutes before) Roast Brussels sprouts. (20 minutes before) Sprinkle green bean casserole base with onions and bake. (10-15 minutes before) Place buns in oven to warm, or dough in oven to bake. (10 minutes before) Re-heat gravy. (10 minutes before) Re-heat mac & cheese. So there you have it. Your guide to a real-food Thanksgiving. And if one of your family members cooks a super processed dish that you like, unless you have food allergies/sensitivities, go ahead and enjoy it and thank them for it! Life’s too short to sweat the small stuff. NOTE: Some links are affiliate. All opinions are my own. If you click on a link and make a purchase, I will earn a small commission. 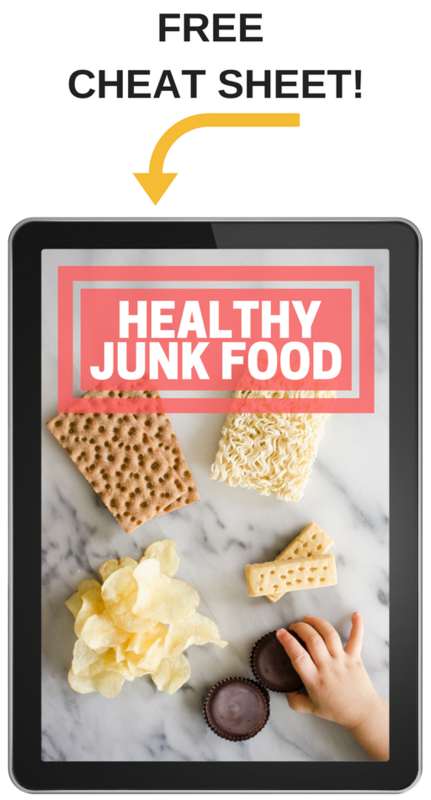 This has zero impact on the price you pay, and it helps to keep Buttered Side Up running. Thank you so much!